herbal tea | Don't Worry, Drink Chai! 4 Most Creepy Little Kids! Guys… I think I’m hearing voices! Okay now before you jump to conclusions and ignore me like the parents of the sane kid in a horror movie who tells the parents that he or she is hearing stuff but instead of listening or believing in the child they just declare him or her insane and ship them to the nearest shrink, Phew! Just hear me out. So for the past few days, I’ve been hearing voices or more like cryings of a kid particularly around the bathroom walls. First I was like hey, someone give this kid some bubbles! Because you know bubbles are awesome and they always cheer people up! But then, his constant combo of crying and laughing at the same time, started reminding of all the creepy little kids that have haunted us for so many years. 4 most creepy little kids that just give me the creepers! 4. 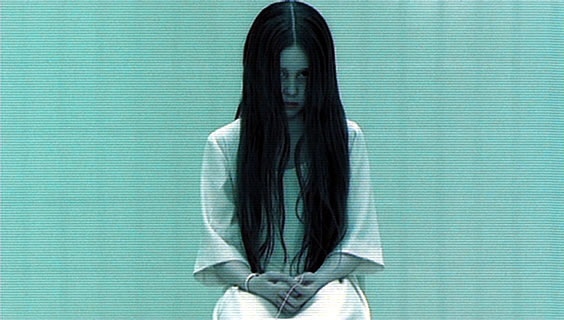 The creepy girl from “The Ring” (2002) – The most creepy scene was when she comes out of the TV. That’s a definite “do” to give someone a heart attack. 3. The creepy little boy from “The Grudge” (2004) – This boy was really messed up and the most creepy sound was that came out of his mouth and the most creepy scene was when he appeared under the desk like a little perv hehe. 2. 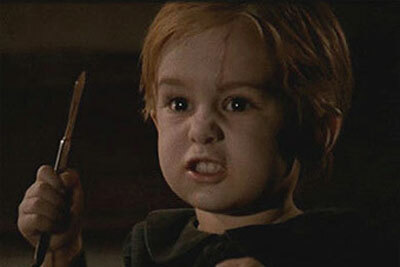 The cute yet creepy little boy from “Pet Sematary” (1989) – Aww…he was really really cute but sadly very creepy! 1. 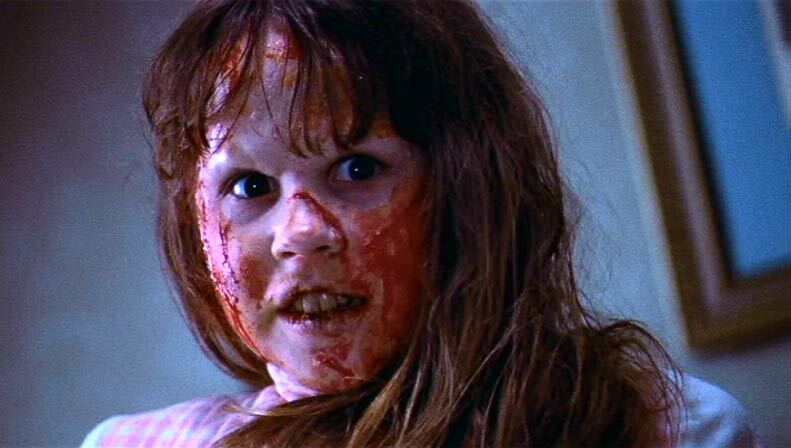 The most creepy and perhaps horrifying kid of all time has to be Regan from “The Exorcist” (1973). There are just too many creepy scenes but the head rotating thing and the backwards stair walk is enough to creep you out for life! Now after revisiting some of these creepy kids, I’m sure you all need a little laugh! First, the funny George Lopez just started the “Creepy Little White Girl” bit on his show. So check it out, it should you creep you into some laughter. Finally not all babies are creepy, this one is so cute and makes me want to laugh like crazy every single time I watch it! My tea of the moment: How about some STASH peppermint caffeine free herbal tea. If you like minty stuff then this is for you. Creepy kids and minty tea now doesn’t that just cheer you up! hehe. Enjoy! Posted in Chai Tea, Entertainment, Good To Know, I love lists!, This is crazy! Well hello there, I thought i should share this great find as we all continue to recover from a very exciting Halloween weekend and face the real world. So are you ready for a rather seductive coffee or tea break? Yes you say? Hmm…good, now all you have to do for a “more seductive break” is sit back and relax and watch the “The Carte Noire Readers” read your favorite literary love scene oh la la la. Hopefully you got your own cube and a good set of headphones at work. Are you ready? They will only begin if you’re sitting comfortably. Okay here it is, the suave Greg Wise reading a scene from Jane’s Austen’s Persuasion. Still need more laughs? Then check out Austenbook, a Facebook newsfeed for Pride and Prejudice. Hope you enjoy it, Happy Monday! My tea for the moment: I’m trying out STASH’s premium Mango Passionfruit caffeine free herbal tea. Hmm…it has a very citric taste to it, so if you like that, then try it out.